Abites, this one has been on my Kindle for a little while. I'm guessing I picked it up as a Kindle freebie. It's a paranormal romance. The paranormal being ghosts in this case. This is pretty much a modern take on the classic gothic novel. So the premise of the story is that Sara and her eight year old son Jack inherit a huge estate and Royal title from some long lost relative in England. She ups stakes and moves there to collect dragging her BFF Joanie along for the ride. She arrives to find that the estate is quite delapidated, but there is plenty of dough to fix it up and to live high on the hog while doing it. Only proviso is that she has to make the estate her primary residence in order to get any of the inheritance. Which would be all well and good, except of course that is where things start to get creepy. Sara's friend Joanie is annoying as heck and not much of a friend. She certainly doesn't show us anywhere in the book that she deserves Sara's loyalty. The romance in this one moves WAY too fast for a woman who is supposedly taking it slow because of her nasty divorce. 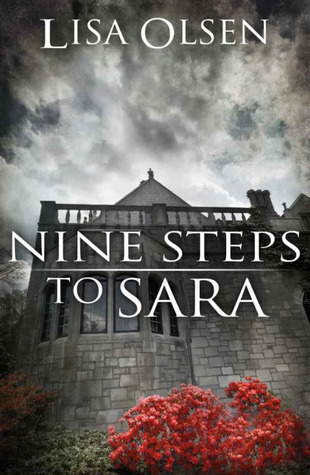 But if you look past those two things, while a bit predictable, Nine Steps to Sara has just enough creepiness to make the ghost story enjoyable without making it a true horror story. What are your favorite ghost stories Abites? Do you like them to scare the pants off you or just a bit creepy? When single mom Sara Darling inherits an estate in the remote English countryside, she jumps at the chance to become Lady of the Manor. With 8 year old son Jack and best friend Joanie in tow, they explore the nearly deserted mansion, isolated from the rest of the world except for the nearby village where everybody seems to know her business. Distracted by the charming chauffeur, Will, soon Sara never wants to leave her newfound home. 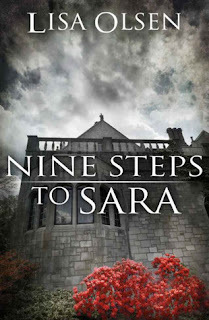 But the eerie manor house is hiding more than a ruined garden and plumbing issues, and it's up to Sara to find out what the loyal staff isn't telling. When Sara finds Jack talking to an empty room, she begins to wonder if she made the right decision uprooting her tiny family as the spooky surroundings fuel her imagination. Especially when she starts to hear the voice talk back. Is her ancestor's unnatural attachment to Jack borne of concern or something more sinister? When she discovers the truth, will Sara accept the legacy she's inherited, or run for her life? 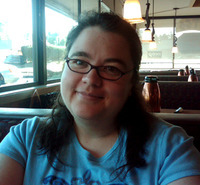 Lisa Olsen is a writer, wife and mother of two, currently living in the Pacific Northwest. A complete TV addict, she also enjoys online RPG's, singing, reading, and cooking.